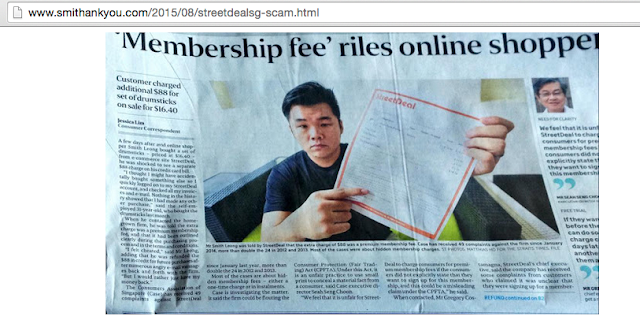 You may read Smith Leong's account of how he ended up paying $88 for a membership he did not expect here. 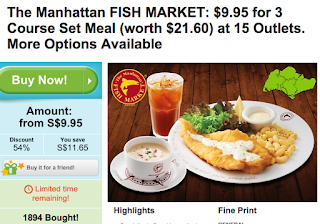 The original incident that prompted me to write this post took place while I was walking down Orchard Road, when a group of guys tried to hard-sell me some Manhattan Fish Market coupons for $19.90. The coupons were fairly attractive, with a savings value of over $100, but I pointed out to them that there was no way I could use them all up before they expire at the end of the year. They continued to try to sell me on the value, saying I could share them with friends, etc, but no. Budget Babe does not fall for that sort of stuff, so I walked away. I did a quick search online, and realized that there are quite a number of online coupon-saving sites in Singapore where consumers are asked to pay for membership first before getting access to the discounts. Furthermore, according to many blogs and Facebook posts I saw, many of these consumers are not able to get back their refunds. 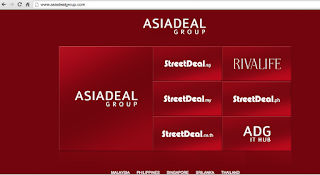 I also noticed that many of the sites I found, also happen to be owned by the same company, which is helmed by a successful expat CEO who lives in a landed property here in Singapore. On some sites, many prior users have also expressed their difficulty in getting back their refunds. 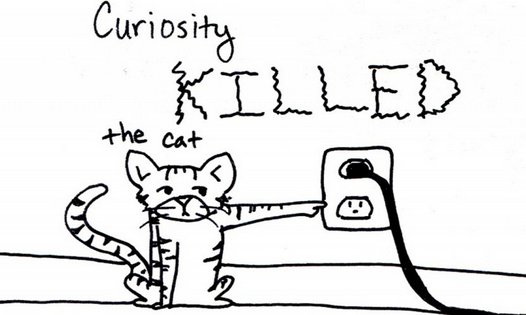 Here are 3 more coupon websites I personally avoid like the plague. 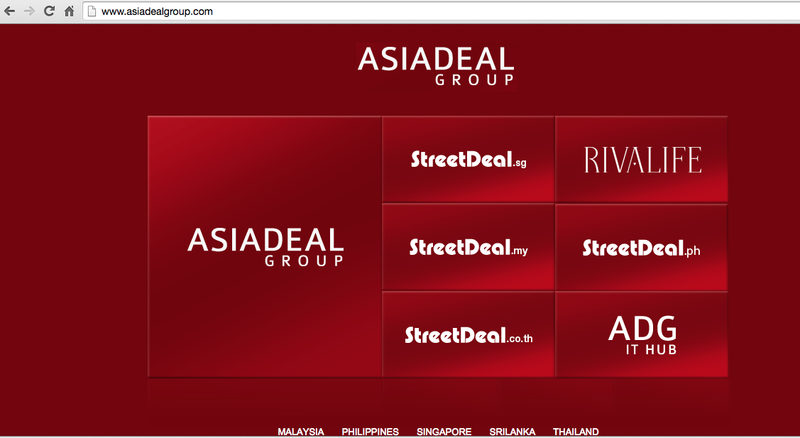 Owned by Asia Deal Group, where on their company website, they state that they also own StreetDeal. Their promise is that you can save up to $140 each month, but before I could see what offers they had, I had to first pay $1 for a trial access, which would get automatically upgraded to membership for $35 monthly from then on. Maybe some folks are willing to pay all that money and contribute to the company's profits, but definitely not me. They'll sell you based on the fact that you'll get refunded. Do you? Once you purchase a deal, you have to scan the receipt to them and there are user reviews online sharing that it takes 30 days for them to "process" a refund. Membership is automatically renewed, but once you're no longer their member, they're no longer entitled to pay you any money back? But honestly, if you're smart enough to use coupons, there's a lot of free money waiting around for you to take advantage of. When I was living in the U.S. previously, I picked up independence, as well as quite a few nifty tricks to save money (after all, I was a student on a budget, without my parents' financial backing). One of the biggest tricks we used was coupon-ing, where our landlord had coupon subscriptions which were delivered regularly to our front door. Before we went anywhere, we always looked out for a coupon we could use. Discounted tickets for Red Flags, 2-for-1 purchases for groceries at Costco...and I daresay we saved a ton of money! I wrote about how this site helped me to save tons of money in previous posts before. 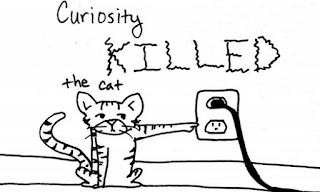 Furthermore, they're a reputable company and some of the deals can be quite value-for-money. Just remember to check the terms and conditions before buying so you know the conditions tied to the deal. You'll have to pay via credit card or Paypal to Groupon before you can get the deal, and I always have this irrational fear that my card will get over-charged, but thank goodness Groupon hasn't let me down so far. You know that field asking you for a promo code when you do a cart check-out? This great website is where you can get those codes! I was recently asked by FlipIt to contribute a budget beauty tip (you can read the article here) and as a result, got introduced to their money-saving platform which comes with a blog. They have a cool feature where you can browse by merchants you frequent, and find even more information on when new discounts for that store will appear on the page. 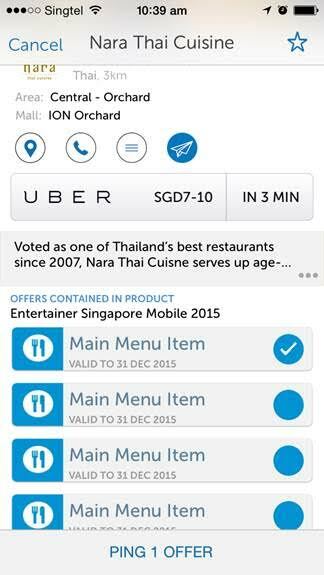 I use GrabTaxi for most of my cab bookings, so this was really useful for me. Some of their coupons which I love. The best part I like about Flipit is that you don't have to pay or even sign up for a membership before you can use their coupons (unlike the ones above) and they have a deal-spotting team who manually sources and monitors the validity of the codes. Most other coupon sites have automated offers instead which makes it less sincere if you asked me. As a blogger, I also think their savings blog is pretty awesome. This is a mobile app rather than a website, and their focus is on Buy One Get One Free offers across over 800 restaurants and bars, as well as over 250 travel offers. If you want to spend on a classy restaurant or a 4-star hotel staycation for special occasions, this app really comes in handy. 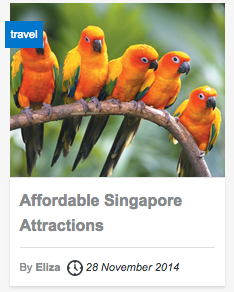 While the app is free, they only have basic vouchers for you to try out. If you want the full access, you'll have to pay $60 to unlock all their deals. I'm not a fan of paying for coupons, but after trying them out myself, I do think some of their deals can be pretty good. You also visit a merchant up to 3 times for the 1-for-1 promo, or even PING coupons to your friends to exchange for the ones you like better. Plus, if you eat at fine-dining restaurants, getting one-for-one can pay off the cost for this app easily in a single sitting. Annual savings can be pretty impressive, so I honestly think the $60 is worth spending. However, a good practice would be to first check with the merchant before you order. I was at The Canopy a few weeks ago - pretty out of the way, but my best friend and I made the trip there to get the 1-for-1 deal for our brunch - and it turned out that brunch items are not counted as "main course" despite being more expensive. this is the first time I'm being told a brunch item doesn't count as a main. So we begrudgingly paid. If we had known earlier, we would have chosen to eat at the nearby Grub instead -.-"
I read other bloggers' reviews on this app and realized they only chose to focus on the positive parts of the app (with barely any mention of the price you'll have to pay), so I thought I'd better highlight the limitations to you guys so you can decide for yourself whether the money will be worth it or not. The 1-for-1 offers are apparently not just excluding brunch, but also do not apply for beverages, desserts and shared platters. Nonetheless, I'm using the app with my friends and boyfriend, so it still makes having it pretty worth it. 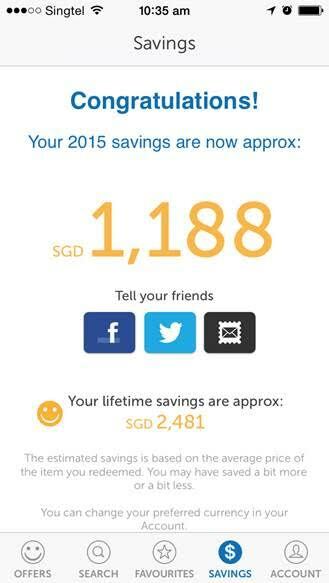 If you wish to buy the app's offers, I've also negotiated for a 10% discount code for you guys: 2015BUDGETBABE. Disclaimer: I did not get any monetary payments to write this, nor will I be paid or enjoy any other perks from The Entertainer when you use my code. Are there any other coupon sites you find useful? Do let me know in the comments below! Yes, only Groupon should be trusted... and maybe shopback for further discount... the rest sounds terrible! Hey Ellaa, I've not tried Shopback before, what do you like about it? 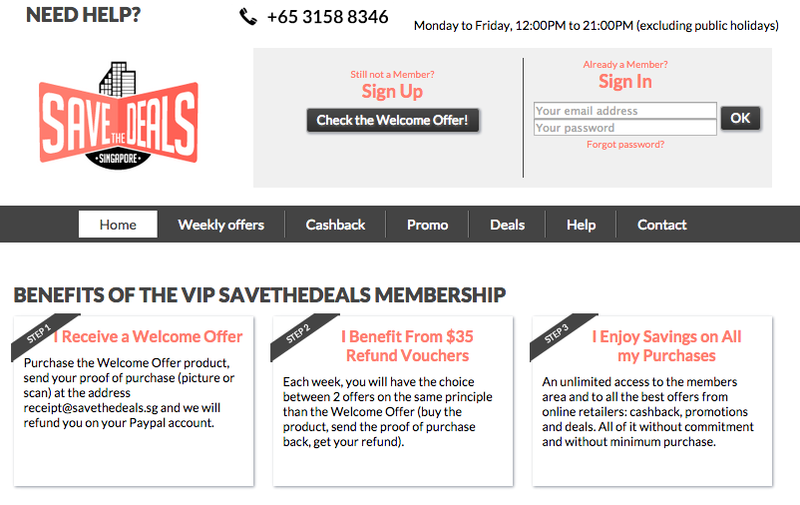 Shopback offers cash rebates for many online retailers (groupon, zalora, lazada are a few popular ones). I already knew about rivalife and it's gang. 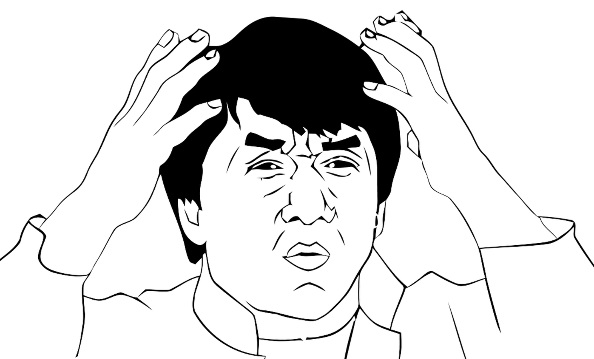 There's another about ez link top up too floating around in fb. 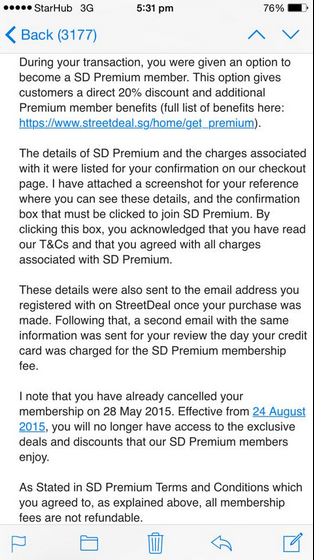 After seeing their terms and conditions, I realised it's the same trick regarding the membership thingy again. What's the ez-link top up thing about? Oh, I know which one you're talking about! I saw a sponsored ad for that as well, and knew better than to click. Apparently a lot of my friends were sharing it. Glad you didn't fall for it!